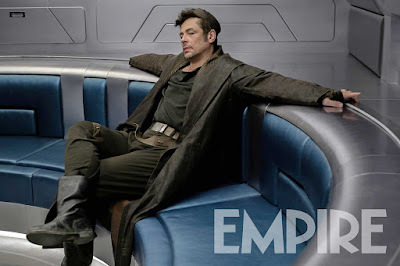 Does Benicio Del Toro ever play obvious characters anymore? I don't know if we'd ever want him to. In Star Wars: The Last Jedi he plays the mysterious DJ, who sadly isn't scratchin' on the wheels of steel in some alien-infested cantina, he's a "slicer" of dubious morals who gets mixed up with Finn (John Boyega) and Rose (Kelly Marie Tran) in the gambling city of Canto Bight. Count me in. DJ might be the breakout character of Star Wars: The Last Jedi when it opens on December 15th.